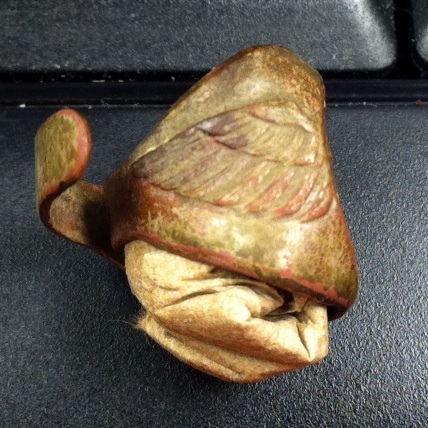 I found an interesting square token with my XP Deus metal detector this morning. 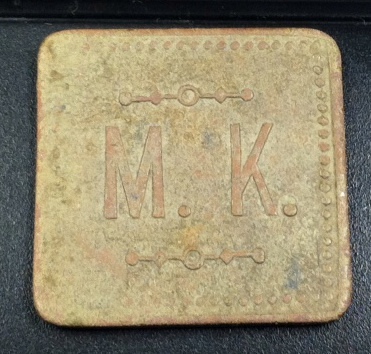 It is made of brass and it is exactly 2cm x 2cm (approx. 3/4 inch) or about the size of a U.S. nickel coin. The fact that the measurements are exact in metric units makes me suspect that this is not a U.S. token (metrication is voluntary in the U.S.). I find it interesting that the value (?) 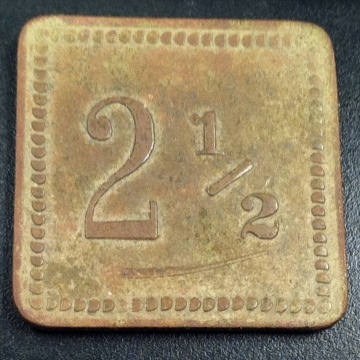 of this token is 2 1/2. 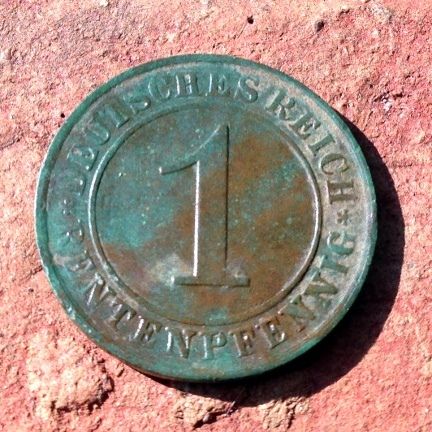 Another interesting thing is that the font on the obverse does not match the font on the reverse. I could not find any information about it on the Web. 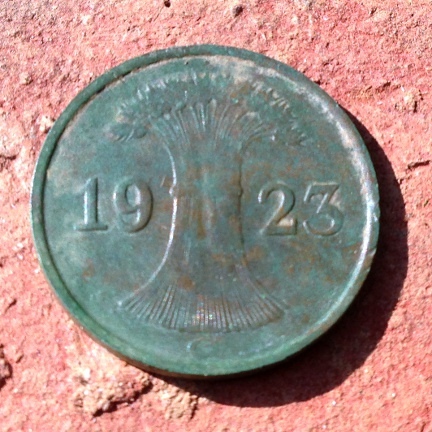 At the spot where I found the token, there stood a Girl Scout camp from the 1920’s to the 1980’s but the neighborhood around it dates as far back as 1900. 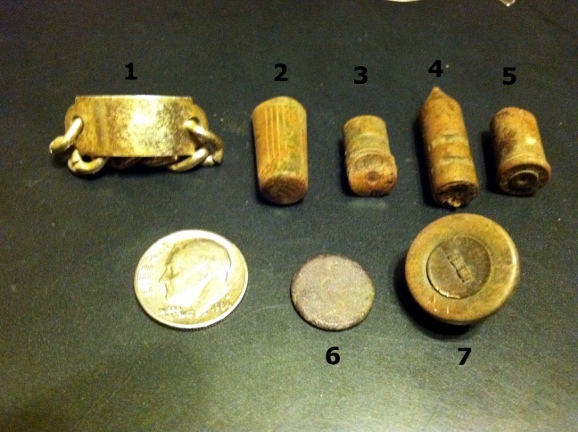 I’ve found several Indian Head cents at the site, as well as a 1901 dog tag. I mean the last hunt around the Girl Scout house in Riverside park. I spent a total of about six hours today hunting around the old Girl Scout house. No coins but a number of brass objects. 2. Small lipstick case. Stamp at bottom: Avon Products Inc. Dist. N.Y. Six inches deep. 3. Possible lipstick case. Stamp at bottom is almost missing. Six inches deep. 4. Heavy brass tip. Evidence that it was at the end of a wooden stick. Six inches deep. 6. Small metal disc. 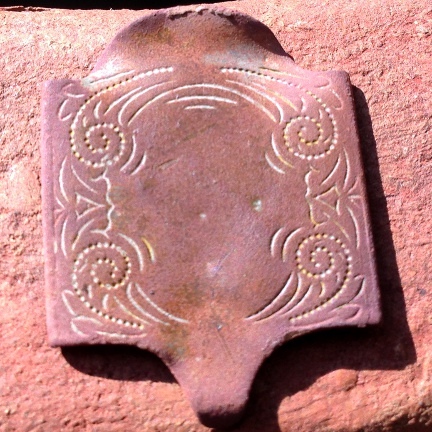 Seems to be copper or brass. Very heavy. Eight inches deep. 7. 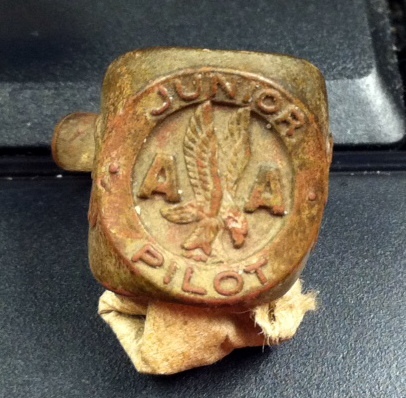 Cufflink. Brass. Nine inches deep. I am amazed I didn’t break it. I found Indian Heads around that same depth. This may be the last time I hunt this area for the time being. I need to move to a different area of the park. My Seated coin is somewhere in this old park.